An old woman’s possessions are auctioned, and orchestral conductor Timothy Clare and his family move into her large, though rather gloomy and dilapidated, old house in Bristol. 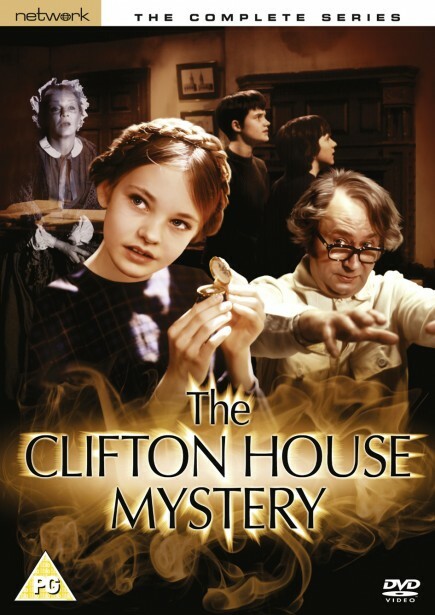 It soon becomes clear that this is a house full of secrets, and that Mrs. Betterton had good reason to leave with her young granddaughter, the ethereal, otherworldly Emily; after a series of frightening experiences and disturbing discoveries - including a walled-up room containing a skeleton - the Clares realise that they are not the only occupants. Unearthly presences inhabit the house, and the family must find a way to lay the ghosts to rest if they are ever to find peace there. Eerie special effects, a twist-laden plot and highly atmospheric setting make for spine-tingling drama in this memorable six-part series for younger viewers. Made by HTV - renowned for producing inventive children’s drama with supernatural themes and a slightly sinister edge - The Clifton House Mystery stars Peter Sallis as Milton Guest, the eccentric but affable ghost-hunter who is eventually called upon to exorcise the restless spirits that plague the family. First screened in 1978, the complete series is available here for the very first time on DVD.